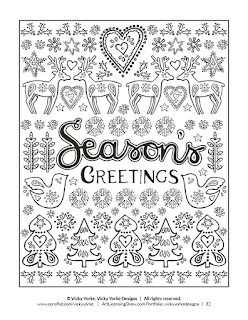 Art Licensing Show - Christmas Colouring Book! 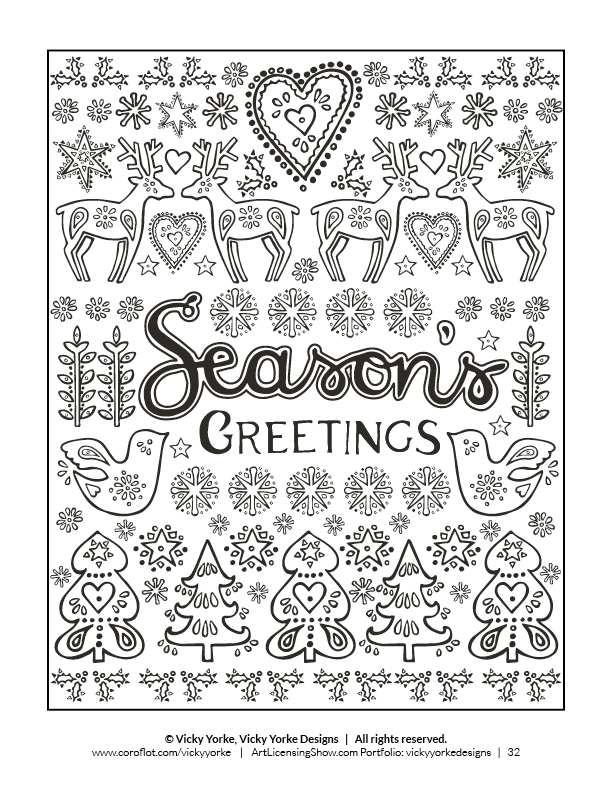 Earlier in the year I created a Christmas line drawing page and submitted it to a selection panel for the Art Licensing Show Christmas colouring book. The idea of the colouring book is to be a free downloadable resource that can be used by anyone from schools to hospitals in order to spread some cheer over the festive season. I was delighted to find that not only was my page selected for inclusion in the colouring book, but my designs are also used on the inside and back covers. Hopefully it will help to spread lots of happiness this Christmas! Use the link in pink to download your copy!